Kristin is a Managing Director at Wells Fargo Advisors and is the Head of Fixed Income Services in Capital Markets Trading. Her responsibilities include the Fixed Income Trading Liaison and Marketing teams, Fixed Income Advisory Trading, High Net Worth Portfolio Services and Syndicate product distribution. The Liaison team serves as the central point of contact for fixed income inquiries across various WFA distribution channels. Her team’s responsibilities include fixed income trade execution, marketing of the fixed income products, and communication of current market conditions, distribution and execution of syndicate products in both fixed income and equity transactions. Kristin is a 28 year veteran of Wells Fargo and its legacy organizations. 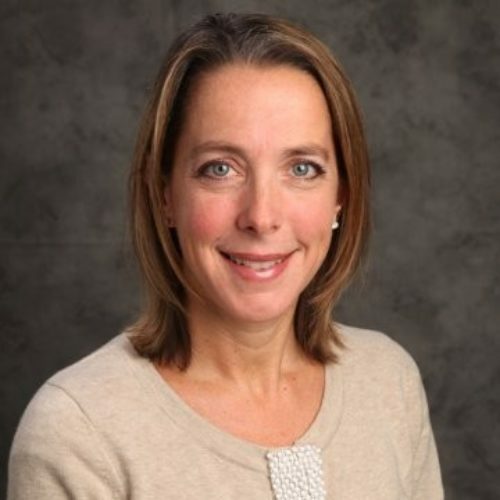 In addition to her leadership role as Head of Fixed Income Services, Kristin is a member of the WFA Senior Leadership Forum, WFA Capital Markets Best Execution Committee, WFA Deal Commitment Committee and is currently serving as a member of the FINRA Fixed Income committee. Kristin holds a MBA in finance from Pace University and a BS in Finance from Villanova University. Kristin holds professional certificates from the Washington University Olin Business School Women’s Leadership Forum and the Wharton School’s Securities Industry Institute Program.